Growing up in a half-Visayan household (my mom’s family hails from Mindanao), I’ve always thought that the best lechon hails from the South. Not to offend my fellow Manilenos, but I really find the taste of lechon Bisaya much more distinct and aromatic. Precisely because we use certain herbs and ingredients as stuffings (e.g. tanglad and pepper) to enhance the natural flavor of the pork. 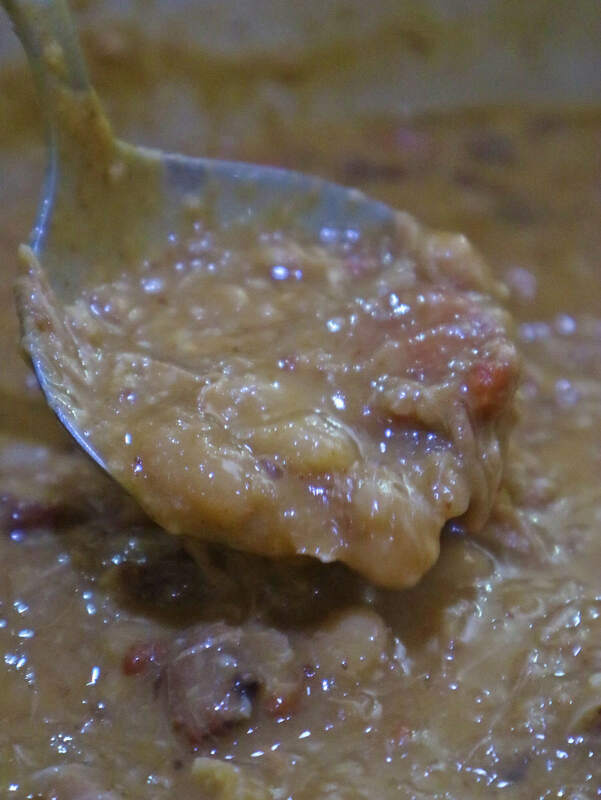 It’s so flavorful that there really isn’t a need for sawsawan like the sarsa. Well, that was before I tried Manila’s pride, Mr. Cochinillo. Read on to find out why. Crisp, succulent, with moist and tasty meat that easily falls off the bone, cochinillo is a piglet roasted after feeding on sow’s milk for roughly two to six weeks. 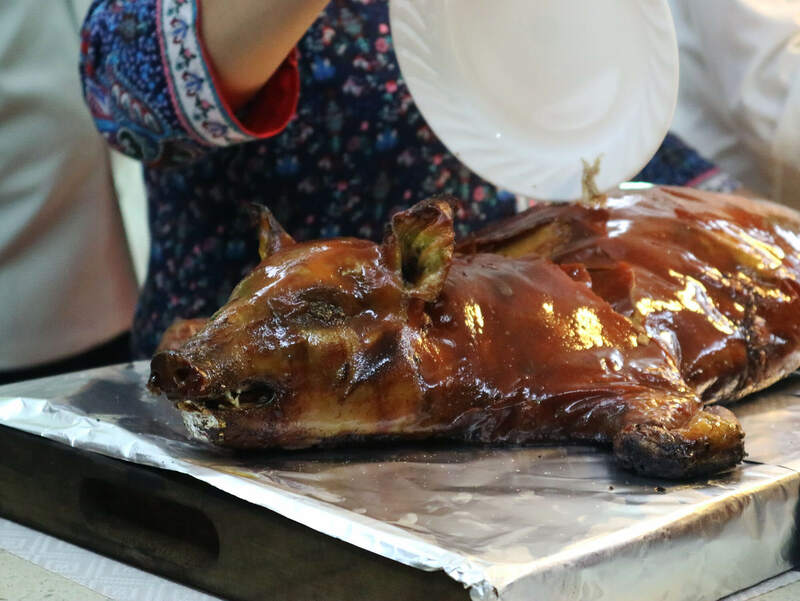 Many cultures have their own versions of roast suckling pig. With the most famous one originating from Segovia, a city northwest of Madrid, Spain. Mr. Cochinillo has his own version. A delectable treat to rival its European counterparts. Trivia: According to the owner, Mr. Cochinillo uses piglets that are usually 28 days old. For taste, the pigs are are seasoned and roasted in a special brick oven for 5-6 hours. All the while being basted regularly with Mr. Cochinillo’s homemade olive-oil herb and spice marinade. The result? Outside, a golden brown layer of superbly crispy skin. So crispy, you’ll hear each inch glorifully cracking with the slightest pressure. Straight from the oven, you can easily slice it with any porcelain plate. 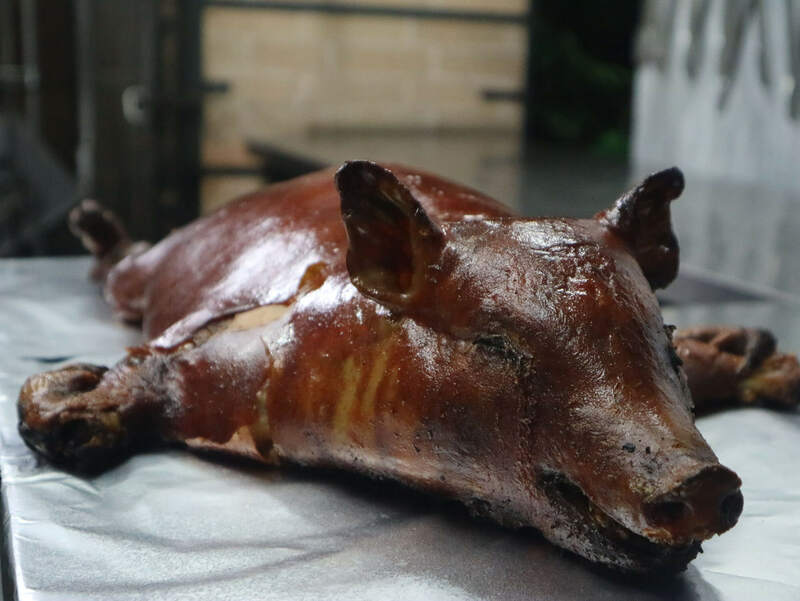 Demonstrating a tenderness and delicateness not attainable in your typical lechon. 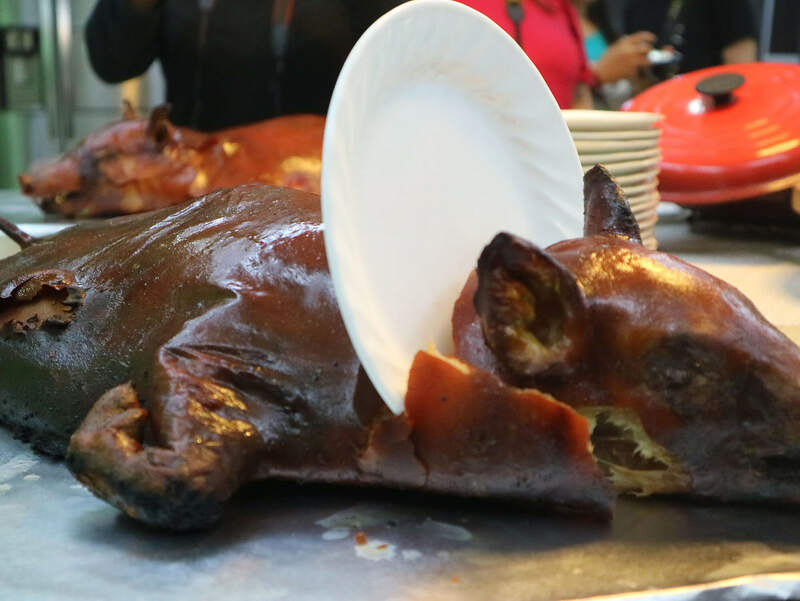 Cochinillo Del Cielo is available at Php 6,500 REG / 7,500 LRG. And the meat? Probably one of the most succulent, most tender pork you’ll ever taste in this lifetime. While the taste is not as intense as its Visayan counterparts, Mr. Cochinillo does offer a buttery and tasty feast to your palate. And since the pigs are ‘almost’ organic, they’re tender and present a di-nakakaumay layer of fat between the skin and the meat. I also loved that Mr. Cochinillo has this distinct smoky flavor to it. One that’s only made possible from slow roasting over wood and coal. We also tried the variant basted with Goose Oil that night. It was also good but I honestly prefer the classic flavor. 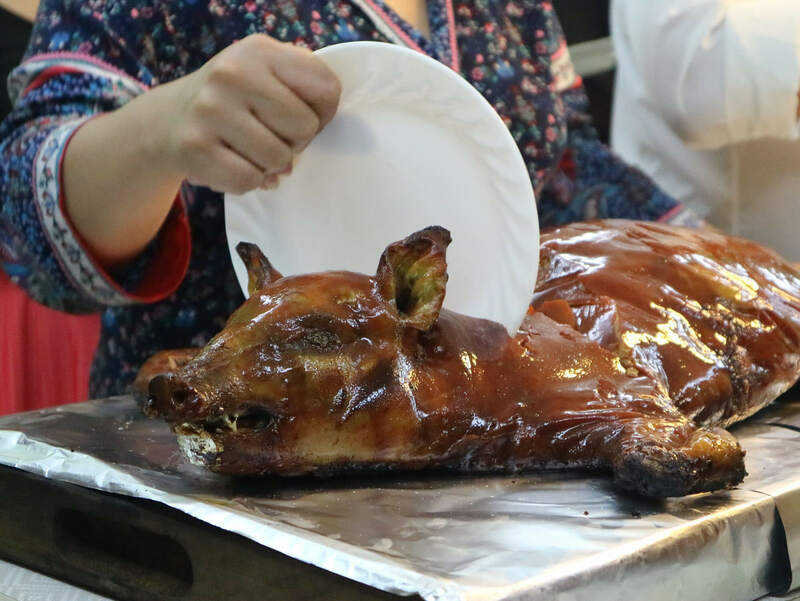 The Cochinillo Del Cielo is available at Php 6,500 REG / 7,500 LRG. Regular size good for 8-12 people. While large size is good for 14-18 people. It wasn’t long before Tinee fell in love with the art of slow cooking and roasting in a brick oven. 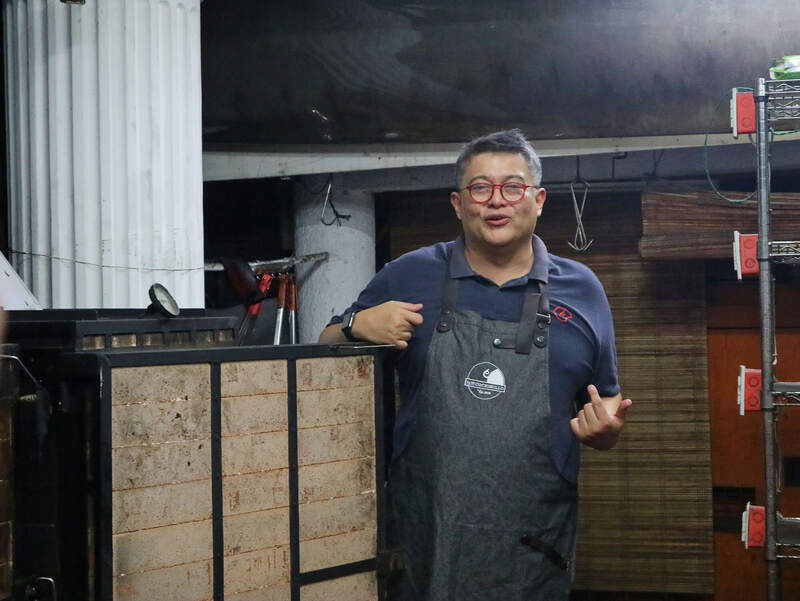 He started out roasting dishes such as pork belly, lamb, and goat for family and friends. After a few years, he then set out to create the perfect cochinillo. Since Tinee aims to please, we were treated to their full menu of bestsellers. To pair with the cochinillo, we also had the Fabada, Rabo De Toro, Seafood Fideua, and Garden Salad. Fabada is a rich Spanish bean stew, originally from the northern community of Asturias. To add add a rich, smoky flavor to the famous fabada beans, chorizo and morcilla sausages are commonly thrown in. I have never tried such dish so tasting it was such a delight. It made me feel all warm and cozy inside. Eat as is or with bread. Mr. Conchinillo’s Fabada is prices at 700.00 SML / 2,000.00 LRG. A Small order is good for 2 while a large is good for 6-8 people. Rabo De Toro (Spanish Bull Tail Stew). Large frozen pack sets you back Php 2500.00, good for 6-8 pax. Otherwise known as braised oxtail, Mr. Cochinillo’s Rabo Te Toro is one for the books! Typically, oxtail needs to be braised (cooked slowly over a low heat) because of its tough, bony, and fatty parts. But cooked long enough, it becomes so tender – almost buttery that it nearly dissolves in your mouth. 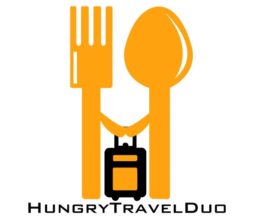 It’s like the best kare-kare, gourmet Spanish style! Large frozen pack sets you back Php 2500.00, good for 6-8 pax. 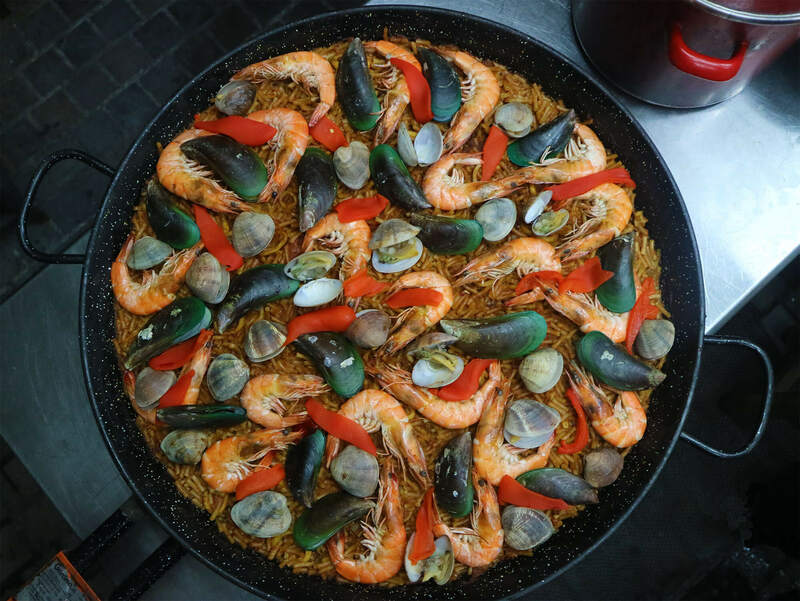 Seafood Fideua from Mr. Cochinillo. Php 5,500.00 REG / Php 9,500.00 LRG. 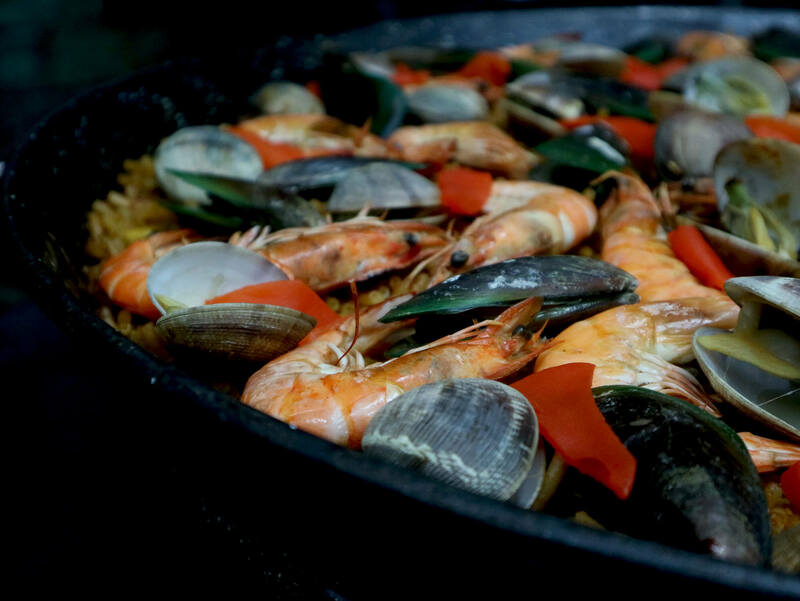 Similar to the much-loved paella, the Fideua is a seafood dish made with noodles instead of rice. Initially I didn’t think much of it, but first bite took me to epicurean heavens! It was smoky, well-seasoned, and had a softer texture to it. Not to mention the superbly fresh and large-sized prawns, mussels, and prawns that came with it. Mr. Cochinillo’s Seafood Fideua was so good, I had to literally bite my tongue not to get a third plate of it! The perfect match for the succulent cochinillo, in my opinion! Order yours for just Php 5,500.00 REG / Php 9,500.00 LRG. Regular size good for 14-18 people. Large size good for 26-30 people. 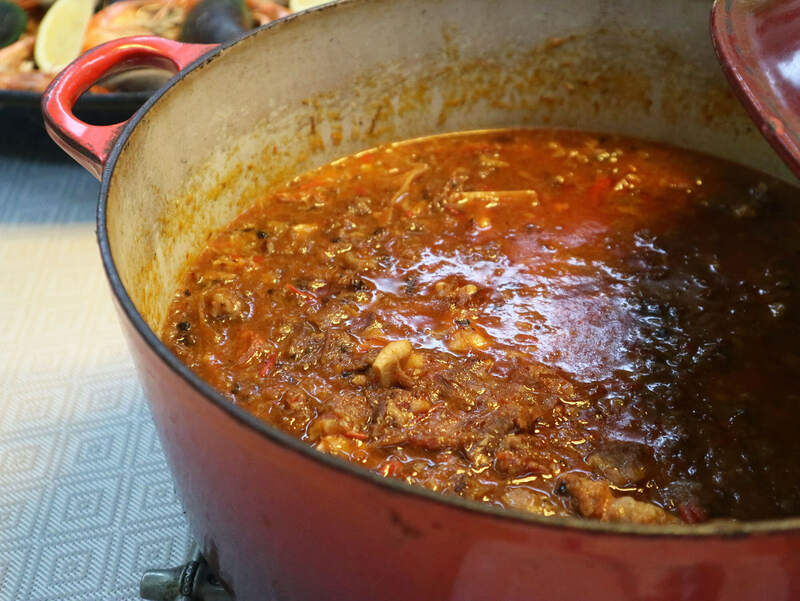 Craving for good classic Callos? Mr. Cochnillo also has them frozen for you to reheat at home: Small Php 700.00 2pax Large Php 2500.00 6-8pax. We ended the night with some DIY gin tonic, champagne, and good music. By this time, I’m pretty sure Mr. Cochinillo has you salivating. For orders, you can simply log on to their website. Or place your orders via phone +63 2 6330043, +63 2 9524102, or +63 917 545 4888. Please do take note that there will be a 10% holiday surcharge from December 1, 2018 to January 3, 2019.